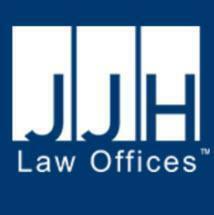 The Law Office of Jacobson & Julius in Harrisburg, Pennsylvania is a full-service bankruptcy firm. We successfully handle Chapter 7, Chapter 11 and Chapter 13 bankruptcy cases. Our law firm offers experienced, knowledgeable counsel to guide you through tough financial times and planning for your future. Our versatile, full-service team of lawyers offers practical, affordable legal guidance to individuals, companies and corporations. We help maximize the assets you can keep under the law. Our effective, high-quality representation gives clients a fresh start towards future financial stability. Whether you are dealing with rough economic times due to job loss, catastrophic medical expenses or personal difficulty in managing credit cards, you are not alone in your financial situation. Our law firm helps individuals and businesses in the Harrisburg area and south-central Pennsylvania to obtain the debt relief they need and to start fresh through Chapter 7 bankruptcy. Your assets are liquidated by a bankruptcy trustee and the proceeds are used to pay your creditors in order of priority. Chapter 13 bankruptcy gives you much needed time to reorganize your finances and to pay off a certain percentage of your debt to creditors over a time period you choose. This can be as long as three to five years. Commonly known as “wage earner” bankruptcy, (because filers need income to comply with a payment plan), Chapter 13 allows you to keep assets such as your home, vehicles and other property and most importantly, your dignity. Our law firm offers flexible scheduling and a free confidential consultation. The Law Office of Jacobson & Julius represents clients throughout the state and is responsive to a wide range of your important needs. We accept card cards for payment of services. Our office is easy to find, with ample free parking. Whether you are a victim of rough economic times or personal adversity, you are far from alone if your financial situation has slipped out of your control. Chapter 13 bankruptcy gives debtors much needed time to reorganize their finances and to pay off a percentage of debt to creditors over a period of three to five years. Divorce can be a painful process even under ideal circumstances. It can also be very stressful. Whether you are a woman or man with support-related concerns — facing divorce today or dealing with substantial changes in circumstances afterward — our Harrisburg law firm can be a valuable resource.